Fans of Kindle have a reason to be impressed with this new news as Amazon has come up with the latest Kindle Lite app. On Wednesday Amazon rolled out the Kindle Lite app for Android users on the Google Play Store. The new app facilitates reading on the Kindle app like its standard version, however, this one does make it easier to access the book for users who have data storage issues on their phone and find it hard to access the available books because of low speed of data connections. Amazon’s explanation behind launching this new app happens to be about improving “customer experience with faster downloads, instant reading and a lighter app”. This new iteration of the Kindle app is supposedly going to help a lot of users in India who use 2G or 3G connections and find it hard to run the standard version of the Kindle app because of slow internet speeds. Amazon hasn’t although come up with this new application abruptly. The Kindle app has remained on the Play Store since last year, since it was in the open beta stage and under constant development, the application wasn’t accessible to everyone on the Play Store. This time, Amazon has released the app in its entirety, and it is now available for download for every Android user. The compact size of mere 2MB of the Amazon Kindle Lite app makes it a very easy download for people who are on slow internet connection and might be worried about data storage on their smartphone. This application comes as a solution for that audience who would like to read books on Kindle without worrying about all those issues. Despite coming in such a compacted size, the new Lite version of the Kindle app doesn’t lag behind in features and functionality. It takes a lot of features from the original Kindle app like the personalised recommendations, free eBook samples. Also, readers can enjoy reading their books across many languages like English, Hindi, Tamil, Marathi, Gujarati and Malayalam. The new app has also not missed out on Kindle’s very famous and utterly useful feature called the Whispersync which enables users to sync their eBooks across every Kindle device and helps them pick up their book from exactly the same place where they left it on another device. Rajiv Mehta, Country Manager of Kindle, said the following regarding the launch of the new app in India. “As part of our continued focus on India, we are always working to improve the reading experience for our customers. 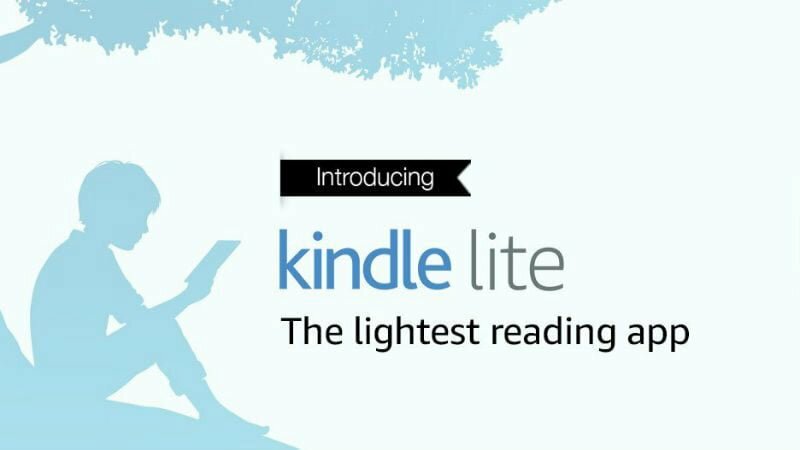 Apps constantly compete for space on a mobile phone, and Kindle Lite solves this problem for our readers.” It is really noted worthy that Amazon has launched the Kindle Lite app on the India-first basis. To encourage more and more people to download the new Amazon Kindle Lite application Amazon has come up with a very attractive cashback offer whereby users who purchase an eBook within one month of app download will be eligible for 80% cashback on the purchase on their first eBook. However, the cashback will only be valid if users make the payment through Amazon Pay wallet. It is exciting to see that Amazon has launched this app in India which is capable of almost all functionalities like its parent Kindle app and packs it in a compact 2MB package. Amazon has definitely not missed out on its most used features like the easy purchase of eBooks, personalised shopping experience, ability to zoom into images, night-mode for reading, changing font sizes and easy navigation and has made it very accessible for users who are low on data speeds and storage.